Are you asking yourself, “How do I start selling doTERRA essential oils?” Well, you’ve come to the right place because I know all the ins and out of how to sell doTERRA, especially online! I would love to have you on my team and I have been selling doTERRA for many years. If you are you interested in learning more doTERRA but don’t want to sell doTERRA, click here. Are you already a member of doTERRA and want to learn how to sell doTERRA online? Click here. About five years ago my husband lost his job and the future didn’t look very good. He was a computer programmer with very outdated skills and we had no idea how he was going to find a job. I was a stay-at-home mom with four young children, ages 2 to 8. But we had a few things going for us. I had a small health blog and we had been using doTERRA essential oils for a while and really liked them. I figured I could start blogging about doTERRA and see if I could earn some extra money to get us by until my husband could find work. Luckily, my husband found a job after about four months. But even better – my blog took off! Fast forward five years and my blog is now five different blogs making me over six figures a year and we are on our way to financial freedom! 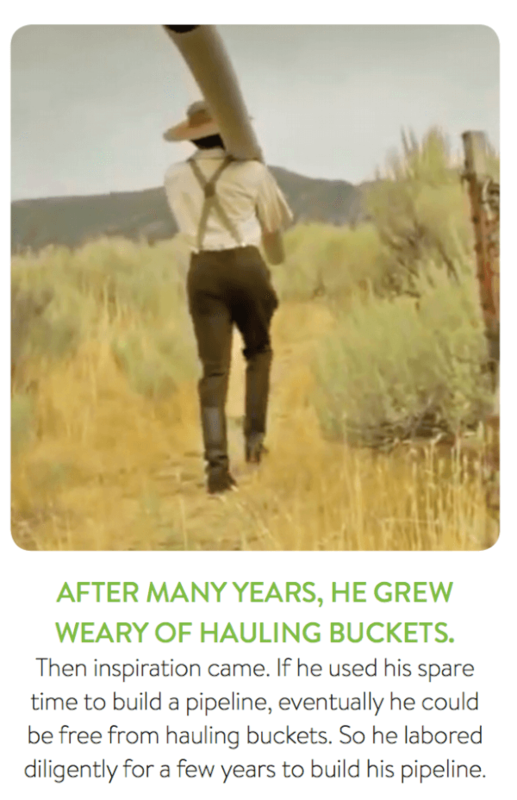 Are You Tired of Filling Buckets? Are you working hard for someone else, sacrificing your time, health talents for someone else? Sure, you get a paycheck. But you are trading hours for dollars. There is a limit to your advancement and earnings. You only get so many vacation days (if any) and you certainly don’t have the freedom to take time off work whenever you feel like it. But, worst of all, when I had a corporate job, I felt like I was doing all the hard work building someone else’s dreams while they reaped all the benefits and had the freedom and money I wanted. 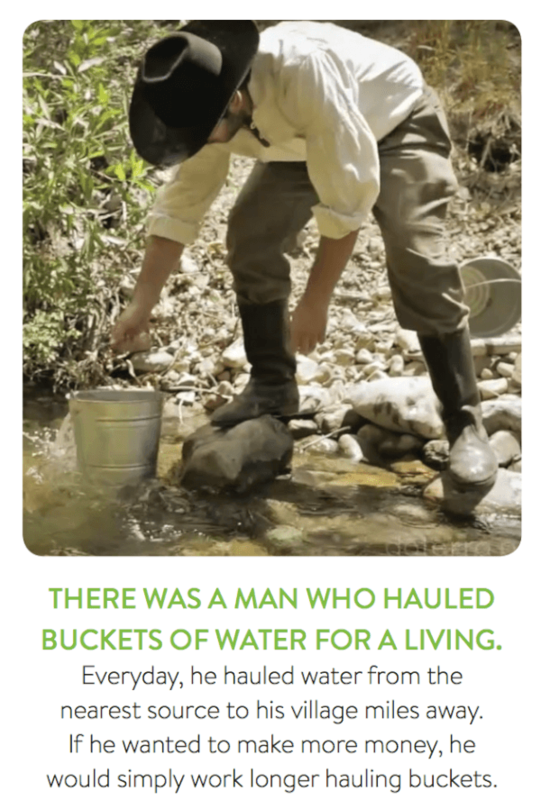 So how do you stop filling buckets? Many people spend their lives trading hours for dollars and lack fulfillment or a sense of purpose. With dōTERRA, anyone can choose to create time, energy, and financial freedom through building a lasting residual income pipeline. Partnering with doTERRA can be a fantastic opportunity for anyone looking for supplemental income. The essential oil business opportunity has the potential to be huge. Once you start using essential oils and realize how fantastic the products are and how much they help you and your family, it’s hard to not tell others about it. The products actually work and are super-high quality. The products fill a real need that people have and it feels good to be able to help other people. doTERRA enjoys a 65 percent retention rate, compared to a direct selling industry average near 10 percent. Residual Income – once you get someone to sign up under you, they stay under you and you earn bonuses off what they purchase for as long as they stay a customer. You get your own website for free and can have people sign up and you don’t have to do it all in person (you don’t HAVE to have a party in your home, bug your friends or give a sales presentation to everyone before they start). doTERRA is the largest essential oil company in the world. They became a billion dollar company in just 7 years! The company itself is sound with no debt and high-quality founders. It is in the HUGE and growing alternative health field. The company itself is a great company and is growing VERY quickly. They care about and support their community, employees and consultants. How Much Can I Make Selling doTERRA Oils? dōTERRA’s Generous Compensation Plan is a proven vehicle to create powerful, lasting residual income while incentivizing synergy and collaboration. 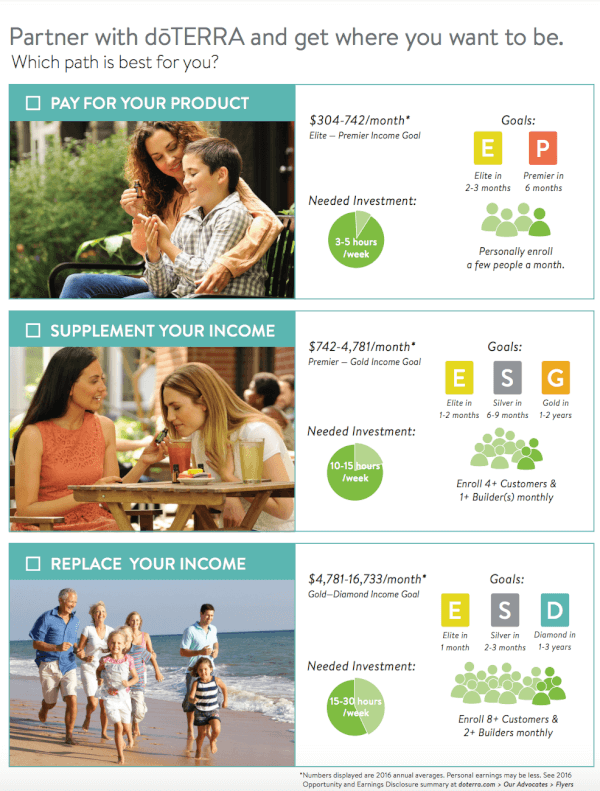 Read more details about the five ways to earn money with the doTERRA compensation plan here or read the doTERRA Opportunity and Earnings Disclosure Summary here. How Much to Start Selling doTERRA Oils? Kits start as low as $150 and include the $35 membership fee in the purchase price. An enrollment kit is the smartest option, but if you want, you can pay the $35 membership fee and then select individual oils you would like. If you are serious about selling doTERRA, I recommend you start with one of the larger kits so you get a big discount and so you can experience a wide variety of the products. Most business builders start with a Natural Solutions Kit. It costs $550 and has the most popular essential oils, the Lumo diffuser which runs for up to 10 hours, our incredible whole food supplements and so much more! 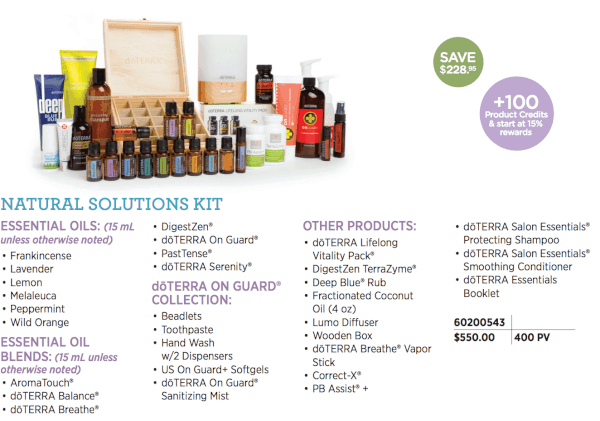 Just because you purchase a kit, it does not obligate you to sell doTERRA. If you change your mind after you purchase the enrollment kit, do nothing. There is no minimum quota, obligation, recurring charge or mandatory monthly order. However, if you decide to continue with doTERRA and sell doTERRA, you will need to commit to a 100PV LRP monthly order. This is usually $100 a month and is necessary for you to get your bonuses and commissions. Most people who use the products regularly find they can use doTERRA essential oils, supplements and personal care items instead of what they are currently using and not only get better results but save money too! Plus, with the LRP program you can get up to 30% of your purchases back in product points. And when you buy the Natural Solutions Kit, you get 100 bonus product credits and start at 15% rewards – which normally takes three months to get to. You can read all about LRP here. How Do You Join doTERRA and How to Become a doTERRA Rep? If you are ready to join now, click the above. If you would like to read more about how to join doTERRA and get all your questions answered in more detail, please read here. How Do You Sell doTERRA In Person? 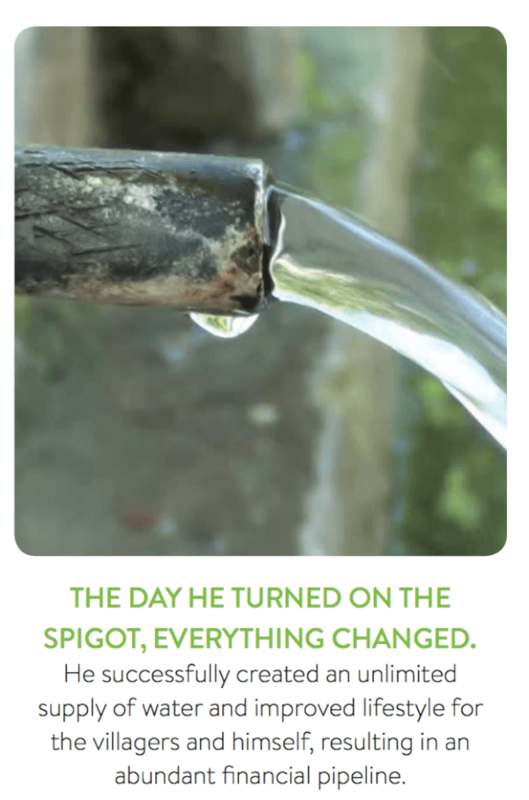 To change lives, engage in these pipeline-building activities (PIPES). The more you put into your pipeline, the more you receive. For greater results, turn up the flow! Prepare yourself for success by experiencing the benefits of dōTERRA’s products and proven training system. Invite others to learn about dōTERRA’s natural solutions and opportunity. Present dōTERRA’s message of wellness and financial prosperity. This is usually done through educational classes or one-on-one. Enroll & empower others with natural solutions and invite them to change lives. Support your customers and builders to success. How Do You Sell doTERRA Online? doTERRA has TONS of tools and resources available to you for free or at cost. They want you to succeed. You will also find a very helpful doTERRA community, regardless of if you are on their team or not. Details about selling doTERRA in person, including several class examples, handouts, videos and resources I’ve put together just for my team. I’ll teach you how to teach a class, what other free resources are out there, how the compensation plan works, how to structure your organization and how to train others. An online business builders email series. In this series I will e-mail you every few days telling you everything you need to know about building an online doTERRA business. Plus, I’m always here as a resource for you. Just email me and I’m happy to help answer any questions you have! I have been so blessed, signing up under Rebecca. She does not only sell doTERRA, she truly believes and helps you learn to take care of your family naturally.” Thank You!! M D Chrisley, Christiansburg Va. I began my doTERRA journey when I went home for Christmas 2013 and my sister shared her Wild Orange doTERRA oil with me and I loved it. Rebecca has been such a blessing educating me on Doterra oils that I have now signed up under her as an LRP. Her communication skills are the best I’ve seen in years. I’m impressed on how quickly she responds to me, always responding with excellence. I never have to get frustrated in waiting for a response, or having to repeat my question to her. She is extremely thorough and responsive. I love her passion and continual efforts to forward practical information out to her LRPs. I believe Rebecca wants the best for her family and wants to share her bests with the world. I am grateful our paths have crossed even though we are miles apart. I hope someday to meet up with her to give her thanks in person for changing my life and my family’s life for the better.” Cathy G.
If I sign up as a WA, and people buy from me, do they have to sign up to be a WA also? Especially for the bonuses? I know most people I sell too, won’t want to become a WA, they will just want to buy the product. In short, they don’t have to sign up. You can sell the oils to them for any price above wholesale plus 10% that you want. With that option, you have to purchase the oils yourself and sell to them, so that’s best for in-person selling. But, you not only would make the 10%, but if you bought the product on an LRP order, you would get the 10-30% in product points as well. Or if you don’t want to be the middleman and just want to have them buy directly from doTERRA, you can have them buy at the retail price through your unique doTERRA website link. With that option, you would earn 25% of their purchase. But it’s best to try to get them to sign up if they like the oils and want to purchase more than once. Hopefully, they will want to sign up so they can get the oils at wholesale, order directly, plus qualify for promotions from doTERRA. You want them to sign up because that’s how you get most of your bonuses. If they sign up, they do not have to sell the oils themselves or commit to buy a certain amount each month. That is quite different from most companies and I love that part of the business. I have been reading so much of your blog, I am almost ready to the the doTerra plunge! I use DoTerra Oils daily and I can say they are amazing – I use them so much, for so many things. I just started using doterra, this would be great to live. Thanks for this simplified version of the compensation plan. I just LOVE these oils!!! I sell on Amazon too but those who sell below wholesale are not authorized sellers and are being investigated by doTERRA so I would only buy from Amazon if you buy from an authorized seller. The reason to sign up for doTERRA is that you not only get the oils for 25% off but if you do the Loyalty Reward Program and do at least a 100 PV order (usually $100) each month, you can get from 10% to 30% back as free product. They also have promotions, like the one ending today, where if you spend at least 200PV you get Past Tense and In Tune for free so that’s huge (and that’s probably why the Amazon unauthorized sellers can sell their product for so low). The other huge reason is that if you sign people up under you, you can earn a percentage of their purchases. It’s 20% for the first month and 2-7% per month after that. As a massage therapist, you can earn money by selling to your clients directly at whatever price you want as long as it’s 10% above wholesale and you keep the profits. You can sell them them either directly or have them order from doTERRA at the retail price. The beauty comes in that if you can get 3 people to get an LRP (monthly) order, you get a $50 bonus every month. If you can get your three to sign up three more then you get a $250 bonus. There are other bonuses if you get to the diamond level. Another reason to sign up under me instead of Amazon is that I will support you, put people under you and answer your questions. After all, I have incentive to help you grow and as you grow, I do too so it’s a win-win. Also, if you sign up under me instead of someone else, I have incentives. Just click the Start doTERRA button on the top right of my blog and you can read about the incentives, but basically I will send you $50 in product and a free book for signing up and then some more things if you want to do more. I’ve recently been reading the doTERRA Leadership magazine and it’s amazing how well some of the doTERRA high up people do. Some of them earn more money in a month than most people make in a year. So there’s definitely potential there. A lot of them tried other direct selling opportunities and failed. The reason people have such good luck with doTERRA is because the product is actually really good, they are a good company that has generous bonuses and incentives to build a team and because you are helping people improve their lives, you actually feel good about helping people and as you help others, the money will naturally come. Does that answer your questions? I am interested in a website to promote do Terra products. 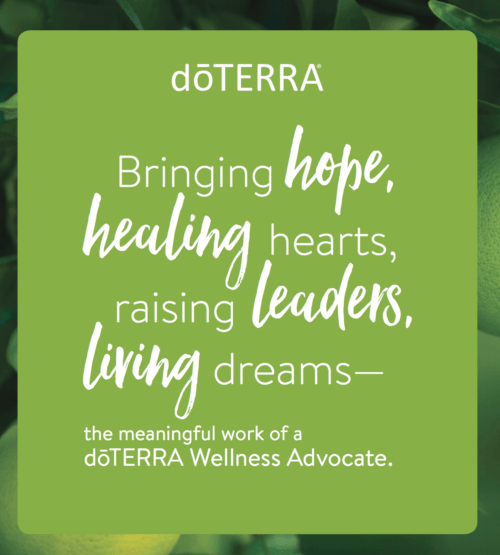 If you sign up for doTERRA as a Wellness Advocate, you automatically get your own doTERRA shopping cart you can use to direct people to buy your products. It doesn’t come with any real kind of marketing though. You would have to do that on a blog, website, facebook, etc. The compensation plan is terrible!!! Why is there a “cap” on your income???? A true network marketing business opportunity has no limit on what you can earn… The fact that you are only limited to 7 deep means doTerra doesn’t have the Capitol to pay you for every distributor in your organization…. Not impressed at all!!!!!!! There’s no cap on your income. If you do get to be a Presidential Diamond, which there are only about 10 worldwide, then you can actually become a Presidential Diamond again. Sure, you aren’t directly paid a bonus lower than 7 levels down but you are indirectly paid on them because the higher they are, the more points you get in the bonus pool. Those at the top are earning around $1M a year at least, from what I can tell. It is actually one of the most generous compensation plans I have ever seen. You just have to look at it closer and really understand it to see how huge the potential is. where do i go to see the compensation plan that doTerra has? That makes zero sense…. I don’t care how you cut it, if there are limitations on the parameters (width or depth) of your organization and/or compensation then all that means is “doTerra” doesn’t have enough Capitol to be a long lasting network marketing company….. Do your research…. Why can’t they afford to pay 100 wide and 100 deep????????? Answer me that….. I am glad I found you site. It helps to read and explore more of the wholesale program. I like that you offer additional incentives and support! I’m actually looking into selling DoTerra oils. My husband was laid off work a few months ago and has not been able to find work. This looks like a company and product I can believe in that would also help support us. As a college student needing to earn some extra money, I found this extremely helpful! Thank you!! I just started using doTERRA and wanted more information about the business. Thanks for the information. Thank you for spelling this all out for those of us inquiring about the doterra compensation plan. Thank you for writing this. I recently signed up and was wondering more about the compensation plan. This explained to me just how I needed!! I’m interested in becoming a WA and I’d love more info! I love essential oils. I am a stay at home mom with my boys an would love to make money from my home. Can I join your business while living in South Africa? Thanks for all your amazing posts Rebecca! I’ve learned so much tonight on the business side of doTERRA and look forward to starting my own blog soon! You rock! I’m so glad I could help you. Please let me know if you have any other questions as you go through the training.